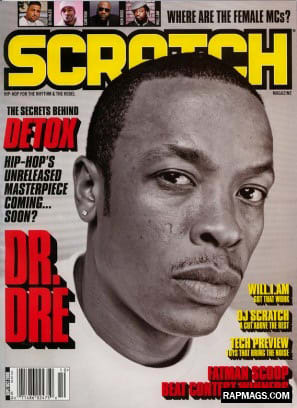 LEGACYHarris Publications neighbor XXL turned Scratch into a blog for a year after its demise. Notable alums: Wax Poetics E-I-C Andre Torres; Complex Deputy Editor Brendan Frederick; XXL Music Editor Rob Markman; Elliott Wilson; and journalists Paul Cantor and Aqua Boogie. RATINGS It had its moments, but not that many people were itching for this Scratch.